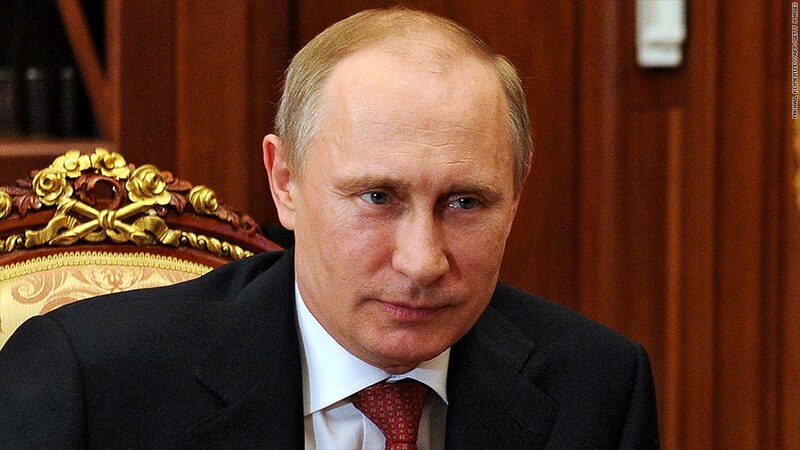 Tensions with Russian President Vladamir Putin threaten to hit Europe's economic recovery. Growing tensions with Russia could hit growth in Europe this year and next, warned the European Commission in its latest outlook. "Should further rising tensions with Russia lead to major disruptions in oil and gas supplies with a sharp rise in prices, the negative impact on a number of Member states could be sizeable," the Commission said. Russia is facing off with the U.S. and Europe over the worsening situation in Ukraine. Western leaders accuse Russia of helping encourage protests and lawlessness in Eastern Ukraine -- a claim which Russian officials have staunchly denied. The U.S. and Europe have each slapped sanctions on many Russian companies and individuals. Meanwhile, Russia has warned that its natural gas exports to Europe could suffer as it considers cutting off gas to Ukraine -- a key transit route for gas to Europe. Things look brighter for the broader European economy. Taking Russia out of the equation, growth across the European Union is expected to hit 1.6% this year and 2% next year, compared with 0.1% in 2013. And the Commission expects the 18-nation eurozone to see growth of 1.2% this year and 1.7% in 2015. While Russia is the newest risk to Europe's economy, it's hardly the only one. Low inflation has consistently been a key threat. The European Commission expects inflation in the euro area to decline to 0.8% in 2014 before rising to 1.2% next year. The Commission had previously expected a much healthier 1.5% inflation rate for 2014. The latest expectations are also well below the target set by the European Central Bank, which is aiming for inflation just below 2% in the medium term. Declining commodity prices, a strengthening euro, and weak labor market conditions in some countries have been the major culprits. In March, eurozone inflation fell to 0.5%, its lowest level since November 2009.